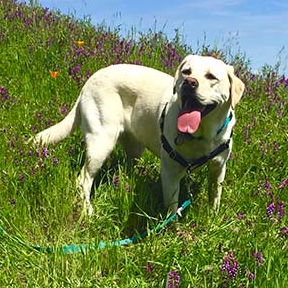 The 3,618-acre municipal park encompasses both sides of Big Chico Creek Canyon for a full five miles up into the foothills, making it a truly spectacular retreat. Home of Big Chico Creek, Sycamore Pool, Bidwell Golf Course and Big Chico Creek Canyon, to name a few of the most popular features, the park is the natural heart and soul of the community and considered by many residents to be the best thing about Chico. There are two distinct sections to the park—Lower and Upper. Much of Upper Park is sensitive, undeveloped canyon land and has special rules for use. Please follow them. They are imposed for the continued good health of the park and for the safety of the public. 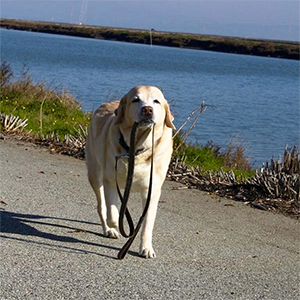 Dogs may be off leash from 5:30 a.m. until 8:30 p.m.; at all other times they must be on a leash. 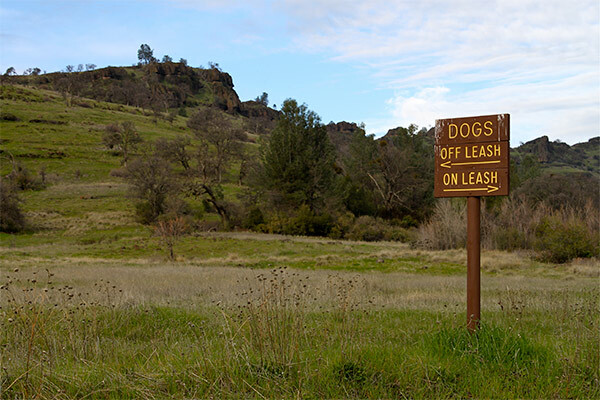 Along the undeveloped north side of Upper Park Road, dogs may be off leash anytime so long as they remain under voice control. 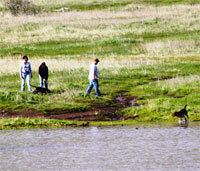 Dogs are not allowed in One-Mile or Five-Mile swimming areas, or swimming holes in Upper Park. • Head northeast on CA-32 East toward Chester/E 9th St. for one or two blocks toward Fir St.
• Take a left onto Fir St.
• Fir St. turns into E 8th St. There will be a sign for the Bidwell Park Info Center (Nature Center).